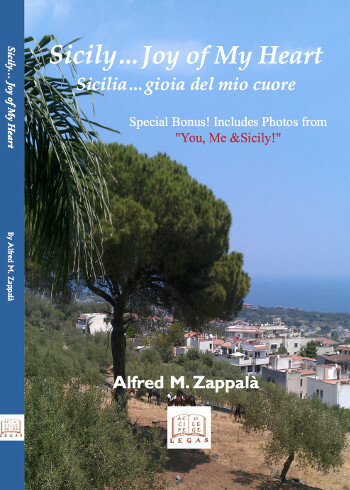 Sicily: Joy of My Heart is the fourth book Alfred M. Zappalà has written on Sicily. If you enjoyed The Reverse Immigrant, Gaetano’s Trunk or Figghiu Beddu, you will love this book. Join Alfred and his friends as he travels throughout Sicily painting a vivid picture of the Island’s beauty and people. Alfred is a lawyer, writer, law professor, and most importantly a father of three and grandfather of four. He founded The Sicilian Project, which teaches Sicilian students how to speak English. This book will grab you from the first page and your love for this magical place will grow by leaps and bounds! Learn more about Alfred by visiting his website: www.AlfredZappala.com or www.EvazMediaGroup.com. Don't forget about the work he and his group do at www.TheSicilianProject.com too! Download Alfred's other books on Kindle here: “Reverse Immigrant”, “Gaetano's Trunk” and Figghiu Beddu. Here is what readers are saying about Alfred’s Books!